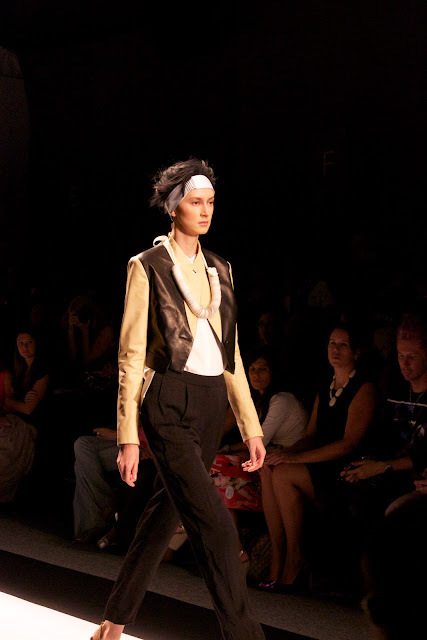 The Chadwick Bell runway show was part of Mercedez Benz Fashion week, which was held on September 6th at Lincoln Center. The show started with hypnotizing music and a chorus that sounded like it belonged in a fairytale. Most of the looks are simplistic yet fashionable. Monochrome head to toe looks amuse you with contrasting fabrics, from matte to shiny. 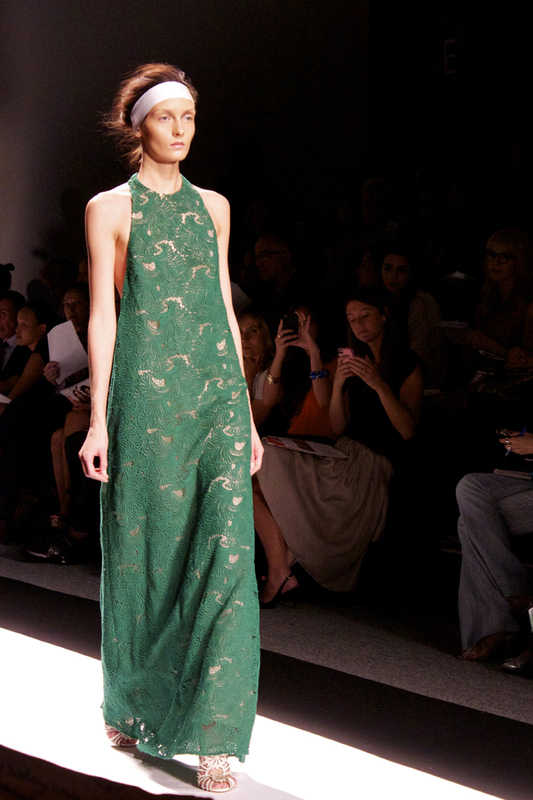 Ruched chiffon dresses are presented in a palette of green, pink and yellow lace. I have to confess, the shoes are the ones that take the prize. Mesmerized by an “ohh-so-cute” flower front, my heart skipped a beat when I realized the shoe I was eyeing had a heel-less wedge.